Germany: Airbus’ Friedrichshafen site has opened Europe’s most state-of-the-art satellite integration and space technology center, known as the Integrated Technology Centre (ITC). 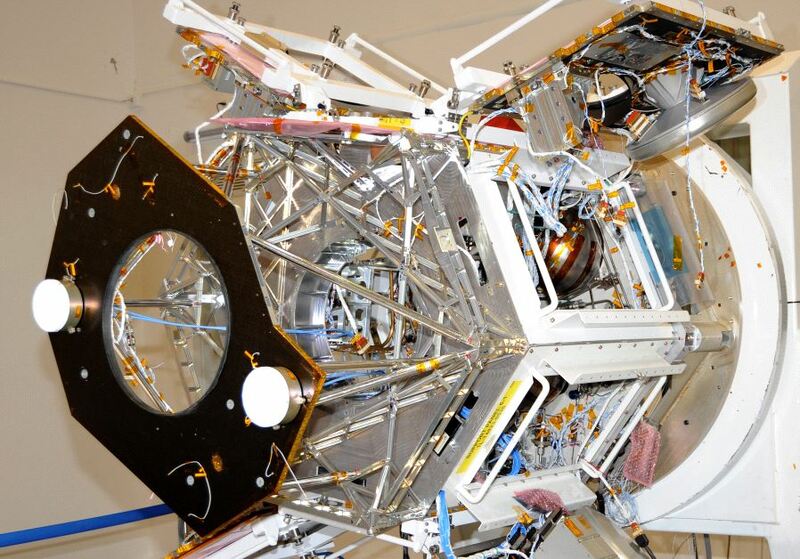 The ITC, which triples the area of cleanroom space to 4,200 m2, is dedicated to building satellites, probes, space instruments and experimental technologies. The center took only two years to build at a total cost of approximately €45 million. “Airbus’s significant investment in this building also represents an investment in the future – both for the Airbus site at Lake Constance and for Baden-Wuerttemberg as an aerospace location. When it comes to space technology, we are now a step ahead of the rest of Germany – in terms of science and research, development and technology, and enthusiasm for the aerospace industry,” said Baden-Wuerttemberg’s Minister-President, Winfried Kretschmann. With dimensions of 70 x 60 meters and a ceiling height of up to 18.50 meters, the building was designed to expand the current satellite integration hall. The new ‘dual’ complex enables projects to be executed more efficiently and economically and, thanks to cutting-edge technology and its new size, also offers new possibilities for developing future space projects, such as large space telescopes. The centerpiece of the ITC is its large clean room. 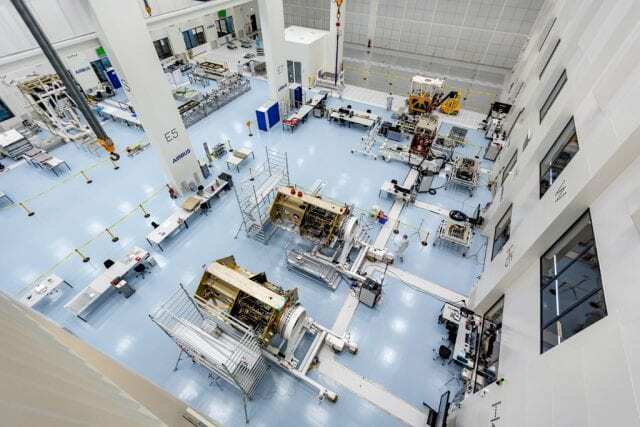 The final integration of the satellites takes place under clean room conditions of various ‘cleanliness classes’ (from ISO 8 to ISO 5) in facilities totalling approximately 2,100 m2, of which 400 m2 are dedicated to ISO 5. Extensive air conditioning and filter systems circulate an air volume of 900,000 m3 up to 60 times an hour, which not only ensures the required levels of cleanliness but also a consistently elevated air pressure, in addition to controlling humidity and temperature. The Defense Advanced Research Projects Agency (DARPA) recently awarded Descartes Labs, a $2.9 million contract to bring its geospatial analytics platform into DARPA’s geospatial cloud. Keen to understand how this contract will enable both Descartes Labs and DARPA to use geospatial for achieving more milestones in community development, we had an interaction with Mark Johnson, CEO, Descartes Labs and Jon Heinsius, General Manager & Director of Geospatial Programs, GeoNorth . 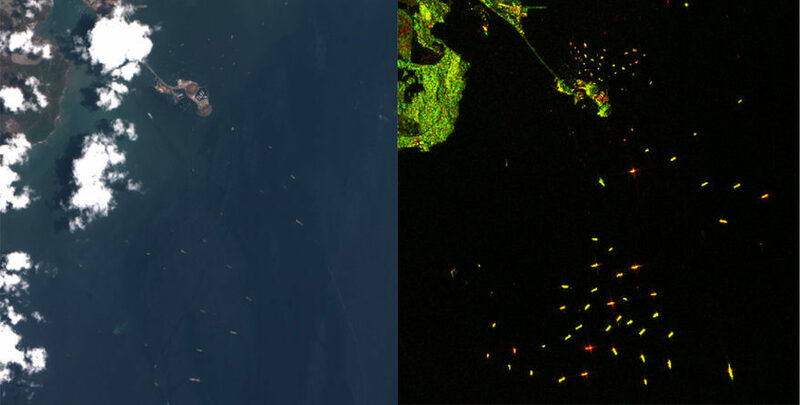 What’s the use of artificial intelligence in satellite imagery analysis and how is Descartes Labs pioneering this effort? The Descartes Labs platform allows data scientists to perform real-time analysis of massive amounts of data. 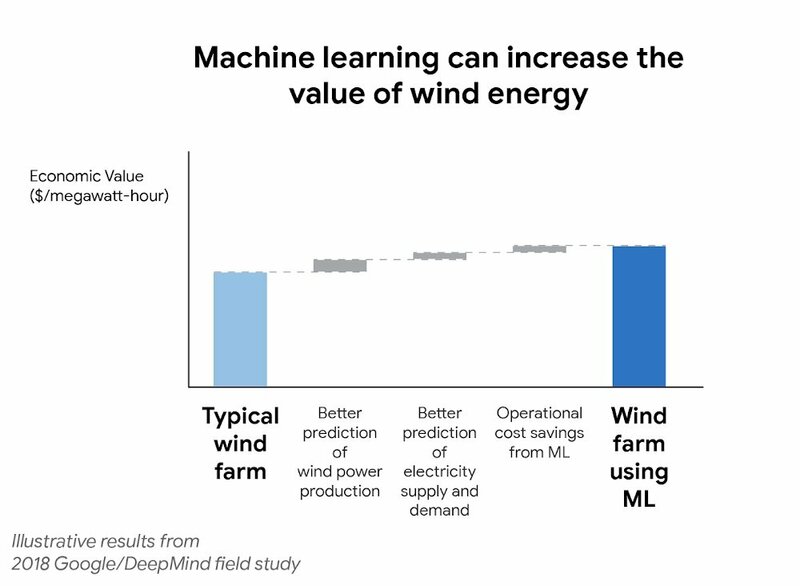 With the use of artificial intelligence, data scientists can focus on building out global-scale analysis and making these insights actionable, rather than spending time processing, curating and prepping data. What does the collaboration with DARPA actually entail? Are you building this platform exclusively for DARPA or is it also commercially available for others? DARPA has selected Descartes Labs to power its new Geospatial Cloud Analytics (GCA) program. The significance of the GCA program is to demonstrate rapid global analytics, leveraging an array of commercial and other non-classified sources, all stored in the cloud. The community will benefit as a result of GCA creating a framework and fundamental tools (including a cloud-based data repository and analytics marketplace) which can be leveraged by analysts and analytic programs, allowing analysts/users to focus on their analytic challenges – rather than creating, managing, and maintaining the content they use for their analyses. GCA will aggregate geospatial data into one massive, streamlined virtual data repository where government analysts can access the most up-to-date images anywhere in the world and advanced tools to analyze them. The Descartes Labs platform features a cloud-native infrastructure designed to provide the storage, computing, access, and tools needed to analyze massive, complex geospatial datasets, making it an ideal foundation for this DARPA program. Under the GCA program, teams selected by DARPA will use the Descartes Labs Platform to build global-scale applications for issues including food security, fracking, and illegal fishing. The applications will be offered in GCA’s marketplace as a commercial service. To support these objectives, and pave the way for the development of additional applications, Descartes Labs will integrate up to 75 new datasets sourced from members of a diverse data partner network. The GCA effort will roll out in phases over the course of two years. Phase 1 will orient analytics providers and prepare platform offerings for competitive comparisons. Phase 2 will be a one year competition between analytic solutions and platform offerings. Phase 3 is an optional exploration of different marketplace and economic models. Descartes Labs has been awarded $2.9M for phase 1 of the GCA project with a phase 2 award option of $4.2M. The major benefit is that the Descartes Labs Platform simplifies many of the operations government analysts face on a daily basis and offers substantially more compute performance than is otherwise available. Where will we see the immediate effect of this collaboration? Through this collaboration, data scientists will be able to extract actionable insights from the vast amount of data available through the Descartes Labs Platform. GCA will develop an analysis-as-a-service marketplace from the existing data repository so that scientists can deliver intelligent applications that manage real-world issues such as food security and illegal fishing. The data repository, when combined with the machine learning capabilities of the Descartes Labs Platform, will ensure that this group can focus on running analysis on a wide swath of cleaned-up, prepped data, rather than spend time gathering and processing raw satellite imagery. What is the role of GeoNorth in the GCA program? GeoNorth is the supplier of data and information that will be input to Descartes Labs and other winners. According to Jon, GeoNorth Information Systems’ (GNIS) primary role in the GCA program is to provision geospatial data to Descartes Labs for both the Data Platform and the Analytical Applications portions of the GCA program. GCA program objectives include intensive use of a broad range of geospatial data sources, in large volumes. GNIS offers expertise and experience in sourcing geospatial data from a wide range of data providers, including commercial, government and scientific sources. GNIS is enabling Descartes Labs in their role as providers to the program, by providing the necessary expertise and services for provisioning source, geospatial data. This will enable Descartes Labs to focus on the higher-level requirements associated with the Data Platform and Analytic Applications of the GCA program. In 2016, Descartes Labs was awarded a grant from DARPA as part of its SBIR Phase II program. This grant was the first example of Descartes Labs making sensor data useful by ingesting, scrubbing, and cleaning it up for faster use and analysis. The specific project had Descartes Labs analyze, monitor and forecast wheat crop across the Middle East and North Africa, with the goal of extracting correlations between crop health, and human changes, such as population growth and migration. The work helped expand our understanding of remote sensing data and allowed DARPA gain new insights into the availability of natural resources in the area and their impact on food supply, to get ahead of potential political unrest. The recent award will bring more such impactful initiatives to fruition enabling us to have a more sustainable world. Israeli scientists develop world’s first formation flying nano satellites. The software and algorithms that will control the flight were developed in a laboratory for distributed space systems at the Technion. Planning to tackle flooding, and track illegal waste dumps in England, LiDAR mapping will be conducted in all of England, announced Environment Agency. Aircraft equipped with laser scanners will map all 130,000 square kilometers (50,000 square miles) of the country in 3D, including rivers, fields and national parks, by 2020. Lidar is commonly used to make high-resolution maps, with applications in geodesy, geomatics, archaeology, geography, geology, geomorphology, seismology, forestry, atmospheric physics, laser guidance, airborne laser swath mapping (ALSM), and laser altimetry. The technology is also used for control and navigation for some autonomous cars. Lidar sometimes is called laser scanning and 3D scanning, with terrestrial, airborne, and mobile applications. The data gathered will be used to understand flooding risk and plan flood defenses, and will also be made available for free for the public and industry including archaeologists, urban planners and even gamers. Around 75% of the country is already mapped, but there is only sporadic coverage of upland areas and the new project, beginning over winter, will fill in the gaps. The new data will be better quality than ever before, the Environment Agency said, with the whole country mapped at a one meter resolution using the most up-to-date laser technology to reveal the terrain more clearly. The LiDAR will be used to detect sudden landscape changes which could indicate illegal tips. Other government agencies can use it to help improve the environment. For example, Natural England assesses wildlife habitat while the Forestry Commission can learn more about tree cover. And it can reveal hidden secrets of the country’s past, with archaeologists using it to uncover lost Roman roads in northern England. Environment Agency chief executive Sir James Bevan said: “This ambitious project will enhance our understanding of England’s unique natural features and landscape, helping us to better understand flood risk, plan effective defenses and fight waste crime. The year 2017 has been a mixed bag of ups and downs, disappointments and remarkable achievements, dashed hopes and splendid optimism. But among the few that have maintained steadfast consistency in excellent track record is the European earth observation Copernicus constellation. The European Commission taking the mantle of the Committee for Earth Observation Satellites (CEOS) gave it an opportunity to set the agenda in key areas: CO2 monitoring; data distribution, access and exchange; standardization and better response to user needs. And undoubtedly Copernicus delivered well in all these paradigms and left its indelible footprint across the globe. Let’s have a look at some of the major programs and stellar achievements of Copernicus in 2017. The Emergency Management Service (EMS): It provides information for an emergency response regarding disasters, including meteorological hazards, natural and man-made disasters and other humanitarian catastrophes as well as prevention, preparedness, response and recovery activities. 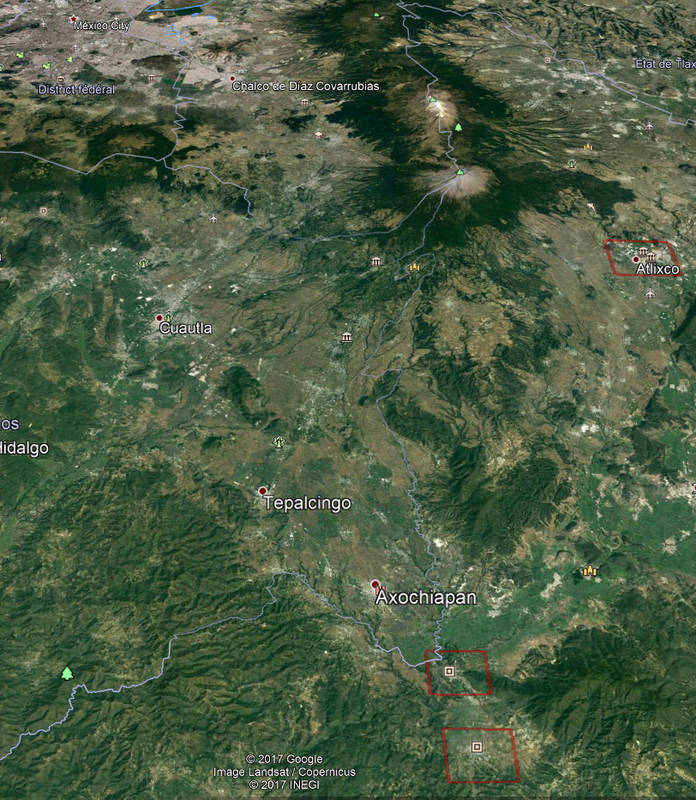 Copernicus satellite imagery of Mexico Earthquake. Its mapping component was activated around 70+ times in 2017 to provide assistance to civil protection authorities in emergency preparedness, disaster mitigation and response activities. Disasters covered include wildfires, storms and floods in Europe, forest fires in Spain, Portugal, Greece, hurricane Ophelia in Ireland, windfall in Poland, and globally– Hurricanes Harvey and Irma in the US and the Caribbean, earthquakes in Mexico and Iraq. The mapping system provides real-time satellite imagery for natural disasters across the globe while European Flood Awareness System (EFAS) is the first operational system that monitors and forecasts flood events across Europe. The fire forest system monitors wildfire real-time. Land Monitoring Service (CLMS): It delivers over 20 variables associated with water, energy and vegetation. Copernicus in 2017 it mapped key protected areas in Africa. It has four main components: Global, Local, Pan European and Reference Data. Copernicus land vegetation satellite map. The functions of Global and Pan European are clearly evident from their names. The Local component specifically focusses on areas that are vulnerable to environmental changes. Reference Data prepares and manages the inventory of satellite data that can be utilized later, as and when required. 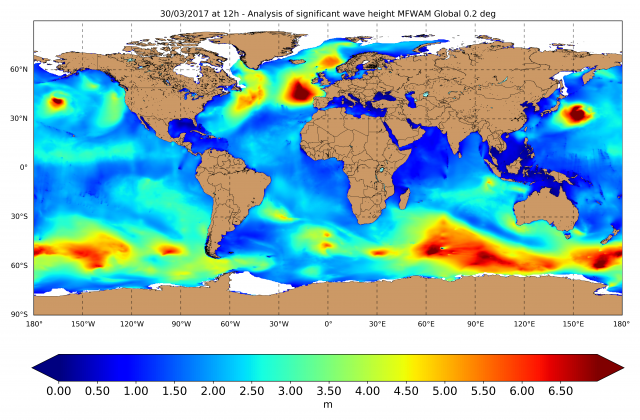 Marine Environment Monitoring Service (CMEMS): It monitors and analyzes the streams, rivers, Oceans and the marine environment based on few parameters, including temperature, salinity, sea surface height, velocity, wind, layer thickness and plankton. In 2017 it released new waves observations and forecasts & ocean monitoring indicators (OMIs) products, and published the 1st Annual Ocean State Report. The Climate Change Service (C3S): It provides comprehensive analysis, frequently updated maps and extensively researched data on climate change and its impact on the globe. It provides surface-air temperature, sea-ice level and hydrological climate variables. 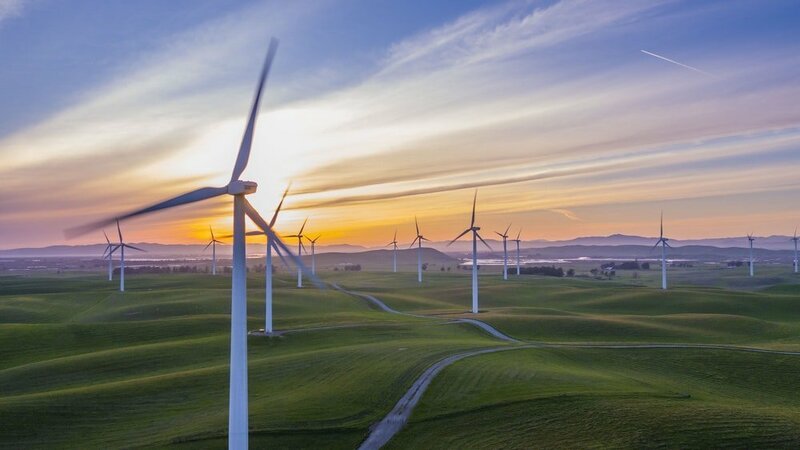 Sectoral information services are also being developed to plan for the impact of climate change on specific sectors such as energy, water or agriculture and forestry. Atmosphere Monitoring Service (CAMS): This service is used for monitoring and mapping air quality, climate forcing, ozone layer, solar radiation and emission and surface fluxes. This year it supported the European Air Quality Monitoring Index and delivering a global reanalysis data set for the period 2003-2017. Apart from these breakthrough developments, Copernicus also entered into multiple agreements with United States and Australia while deliberations with Argentina, Brazil, Chile, Colombia, the African Union Commission, India, Serbia and Ukraine are going on. Copernicus also strengthened its conventional data distribution systems, linked them GÉANT and doubled in bandwidth from 10 Gbps to 20 Gbps. Copernicus Data and Information Access Services (DIAS), cloud-enabled platforms to access and process Copernicus data, have been launched and will be operational in 2018. This would ensure that storage issues will soon be a relic of the past.